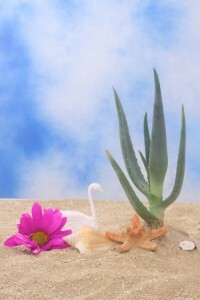 Aloe vera products lotion and gel has been on the market for generations, but modern research has led to the development of aloe skincare products and even aloe juices. This native African plant is now grown as a houseplant around the world and has proven to be one of the most efficient natural supplements. It is unique in that it can be used on the outside of the body or ingested for internal purposes. Let’s take a look at the top 3 advantages of aloe vera products on the market right now. This is what most people think of when asked about the known advantages of aloe vera products. Many people keep aloe plants in their home because they know the leaves can be used to soothe and heal burns. This works simply by pulling a leaf from the plant and breaking off the tip. The gel inside the leaf can then be squeezed out onto the burn. Those who don’t want to grow a live plant simply keep a high quality aloe vera lotion or gel in their bathroom at all times. What many people do not realize is that the advantages of aloe vera products go further than just treating burns. It can be used to moisturize the skin and is well known for its healing properties as well. While many believe in using aloe gel to relieve the stinging of a burn, it actually helps the burn heal faster without becoming infected as well. 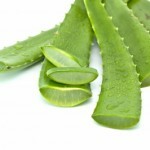 This is because aloe vera is an antioxidant and antibiotic and is rich in vitamins and minerals that nourish the body. Many skincare products are now including aloe vera, since it has been proven to moisturize and soften the skin so it has a healthy, youthful glow. Some may use it for exfoliation of the skin while others find it helpful in the treatment of psoriasis, eczema, acne and other skin conditions. Aloe vera products are proven to help relieve constipation and may even help those suffering from diarrhea. 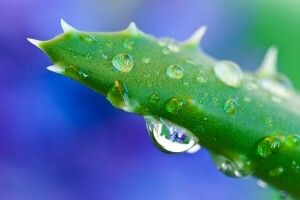 Those who have a live plant can squeeze the gel from the leaves directly into juice or another drink. Others can purchase aloe vera capsules designed for the relief of constipation. Drinking aloe vera juice with a high concentration of aloe vera may also be effective. Most people know of the external uses for aloe vera, but they do not realize that it can be beneficial to the internal body as well. 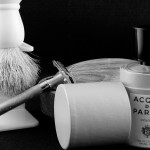 Just as it heals and nourishes the skin, it is known to heal and nourish the inside of the body as well. For example, many people now drink aloe juice because it helps detoxify the digestive tract. Aloe vera juices are among the newer aloe vera products to be created. They are designed to deliver all of the known advantages of aloe vera to the system in one convenient drink. Those who drink it regularly find that it helps with inflammation inside the body, corrects digestive problems, and boosts the immune system. The basic aloe vera advantages include the ability to heal, moisturize and soothe the outer skin, but there are just as many advantages to consuming it for internal purposes. So is it a good idea for me to use aloe vera lotion to help my acne? I’ve heard that aloe vera can help clear up my skin, is that true?